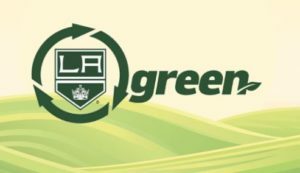 LA Kings Green tackles sustainability through practical and actionable frameworks. With a threefold focus – engaging fans, community events and arena operations – this umbrella program is effective in making measurable improvements towards our environmental impact. LA Kings Green was conceived with the understanding that we cannot achieve the environmental results we seek alone. It takes collaboration with our arena and facilities, funds from our generous donors, fan cooperation, the expertise of our charitable partners, such as Heal The Bay, Enrich LA and GRID Alternatives and an organization-wide commitment. Our strength is in aligning our charitable partners with resources, man power and exposure. Within our company, service-based initiatives have proven to be the most impactful. To facilitate these hands on experiences, we align ourselves with charitable partners to produce impactful results. During the 2016-17 NHL season alone, 81 staff members combined for over 275 volunteer hours cleaning beaches, installing solar panels and building school gardens. As a result, 750lbs of trash were removed from three LA area beaches, an estimated 66 tons of greenhouse gas emissions were prevented and 500 students now have access to nutrition-based education. Beyond LA Kings staff, executives and players, we have an engaged fan base of over 18,000 at each home game and a digital presence that has a reach far above 2 million people. The fortuitous intersection of our fans, community partnerships and facilities is exemplified within the waste operations at our home arena, STAPLES Center, which is also owned by our parent company, AEG. Through our current partnership with Waste Management and the dedicated staff at the arena, the waste generated during our home games is taken to the back-of-house docking station and source separated to ensure higher recycling rates. This process begins with our fans and their willingness to support recycling efforts as consumers. As a result, in 2015, STAPLES Center reduced the amount of waste sent to landfills by 68% compared to 2010. 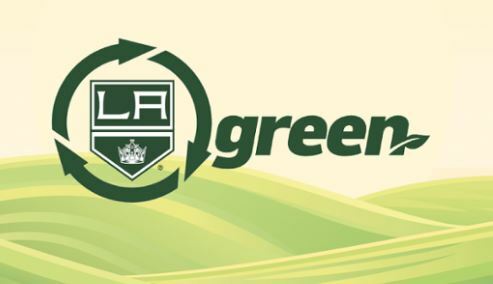 Waste Management is also a community partner on the LA Kings Green initiative. Credit must be given to the value of something as simple as properly disposing of plastic. We know the power of sports and we are in a position to affect change. What makes LA Kings Green successful is its accessibility, ease and practicality. To learn more about LA Kings Green, visit www.lakings.com/green.